There is great anticipation for Salman Khan’s Bajrangi Bhaijaan, directed by Kabir Khan. The recently released teaser of the film has generated a lot of excitement and created a flutter. Audiences have absolutely loved the teaser and it has increased the excitement for the film. 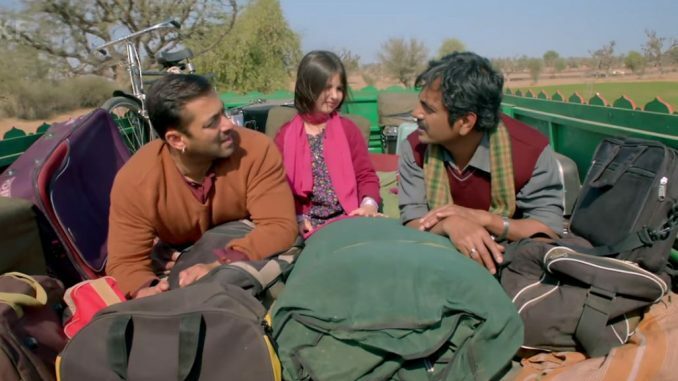 Nawazuddin Siddiqui, who plays a Pakistani journalist in the film, too has loved the teaser. He has been inundated with calls from family and friends telling him that they are eager to watch him in a different role in the film. The talented actor is overwhelmed with the audience reaction and the response he has been receiving. Bajrangi Bhaijaan stars Kareena Kapoor as Salman Khan’s leading lady and is slated for an Eid release. Yami Gautam is reading Waheeda Rehman’s biography.